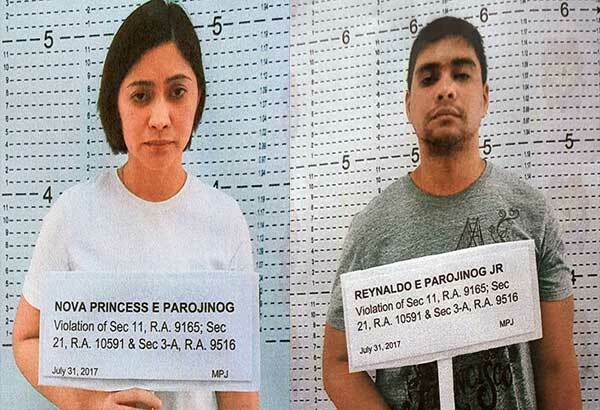 MANILA, Philippines - The Department of Justice (DOJ) yesterday indicted the Parojinog siblings who were arrested at their home last weekend hours after their father Ozamiz City mayor Reynaldo Parojinog Sr. was killed by raiding teams. Cases for possession of illegal drugs under Republic Act No. 9165 (Comprehensive Dangerous Drugs Act) and illegal possession of firearms and ammunition under RA 10591 (Comprehensive Firearms and Ammunition Regulation Act) were filed against Vice Mayor Nova Princess Parojinog-Echavez and her brother Reynaldo Jr. before the Ozamiz regional trial court. Apart from the two cases, the DOJ also filed charges of illegal possession of explosives under RA 9156 (Unlawful Possession of Explosive Devices) against the mayor’s son after a hand grenade was seized from him. Prosecutors recommended no bail for the drug possession and illegal possession of explosive cases. The siblings were indicted in court after the investigating panel of prosecutors, led by Senior Assistant State Prosecutor Juan Pedro Navera, found probable cause in the complaint filed by the Philippine National Police (PNP) Criminal Investigation and Detection Group. In a 14-page resolution, the DOJ explained that the lack of licenses for the firearms seized from the house of the vice mayor where the siblings were arrested warranted their indictment for illegal possession of firearms. “Respondent Nova Princess Parojinog is not a licensed firearms holder of any kind of caliber based on (PNP firearms and licensing division records). There is, therefore, no recourse but to find probable cause against (the) respondent for illegal possession of light weapon and ammunition,” read the resolution. The drug charges, on the other hand, stemmed from the plastic sachets containing shabu that were seized from the siblings during the raid. The DOJ cited the plain view doctrine and indicted the siblings for drug possession even if the search warrant used for the raids was only for illegal firearms. “The searching officers positively testified that they clearly saw in plain view the illegal drugs while they were searching for firearms which were both in the constructive custody of respondent Nova Princess Parojinog. This is probable cause to separately charge respondent for illegal possession of dangerous drugs,” it further explained. The DOJ made this finding after conducting inquest proceedings last Tuesday inside the PNP custodial center at Camp Crame where the two have been detained since their arrest. The siblings opted not to answer the charges in the preliminary investigation and instead sought immediate dismissal of the complaint due to legal flaws in the operation conducted by police. Their lawyers, led by Ferdinand Topacio, specifically questioned why the raid was conducted at around 2:30 a.m. when rules require that search warrants should be served during daytime. The lawyers also argued that the vice mayor should be released for failure of the PNP to file the complaint within the 36-hour period prescribed by law to file charges from time of arrest. An inquest is conducted for criminal suspects arrested without arrest warrant issued by a trial court. Under this proceeding, the period for detention of the suspects has a limit and prosecutors are required to immediately resolve the charges. The suspect, however, is given the option to sign a waiver for continued detention under Article 125 of the Revised Penal Code and undergo preliminary investigation where they could answer the charges more comprehensively. The Parojinog siblings did not avail themselves of this option.